If you are like most homeowners, when the spring and summer months come back around, you and your family are likely going to be running your air conditioning system nearly nonstop. With all of this constant use, your air conditioning system is likely going to be suffering from a great deal of strain, and all of that strain puts your system at risk of developing any number of different issues. 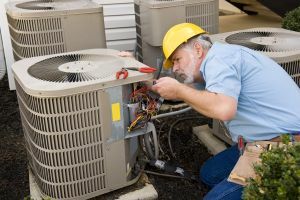 Anytime your system isn't functioning like it should be, it is incredibly important to reach out to a professional and get the quality repairs you need for your air conditioning system. Here at Mobley Heating & Air, our team of local air conditioning and heating experts have the skill and experience necessary to provide you with the high quality air conditioning repairs you need to get your system back up and functioning in no time, no matter how simple or complex the issue might be. When it comes to your air conditioning system's repair needs, you should never have to settle for service that is anything less than the best, and when you make the call to our team of experts, you never will. 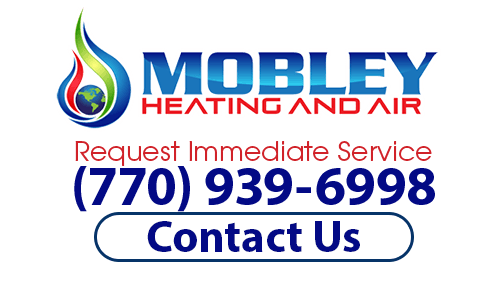 Here at Mobley Heating & Air, we have made it our mission to ensure you have access to the quality air conditioning repairs you need to keep your system running effectively and efficiently at all times. Getting the timely repairs your system needs as quickly as possible is important for the continued health of your system, as letting even the smallest issues linger on for any length of time can actually make any issues that might be present much worse in a very short amount of time. If you have any questions about our full line of high quality air conditioning repair services, or if you would like to schedule an appointment for consultation with one of our specialists, give us a call today. Our team of experts are always standing by and would be more than happy to assist you in any way we can. Your home's air conditioning system is a fairly complex piece of machinery, and as such, there are a number of different issues that can arise with it, especially during the times of year where it is most frequently in use. While some issues are quite noticeable, like when your system isn't pumping out cold air at all, and it is easy to see why you should have an experienced air conditioning company come out immediately to repair it, there are some issues that are much harder to notice, or might not seem like they are that big of a deal. No matter how big or small the issue might be, it is important to ensure that you are investing in the timely care your system needs to continue functioning its best. Even the smallest issues can wind up causing a great deal of damage to the inner workings of your system given enough time, so it pays to have them taken care of as soon as possible. If you are in need of an air conditioning repair professional, then please call (770) 939-6998 or complete our online request form.